Contemporary home design can be a lot trickier than just placing sleek features in a home. Fortunately, you can make things easier for yourself if you consider the following essential elements before talking to a custom home builder. You will frequently hear the phrase “less is more” when it comes to contemporary home design. This is because minimalism has such a powerful effect on the overall look and feel of a home. A minimalist home exudes an aura of efficiency and cleanliness—two things that are in-demand in today’s market. If there’s one thing that contemporary home design needs more of, it’s the feel of an open space. Open room layouts allow smoother foot traffic flow and add the illusion that areas of their home are bigger than they are. This design element also couples with minimalism, as getting rid of things during remodeling results in extra floor space so you have more you can work with. If classic home designs are all about being upscale and rustic, then contemporary home designs capitalize on more straightforward visual cues. Shelves, windows and furniture with simple profiles add to a contemporary home’s bias towards efficiency and can be used to add visual harmony or create a stark contrast for a more dynamic look to a room. Some might think that contemporary home design is simply about being sleek and shiny, but the opposite is actually true. Semi custom home builders commonly use visual elements that have a natural or industrial feel. Some of the most impressive contemporary home designs use details such as natural wood furniture or components that would seemingly belong in warehouses. The contrast of old and new is designed to accentuate instead of neutralizing the new-age feel of a home. Give your home the modern treatment with help from our experts. 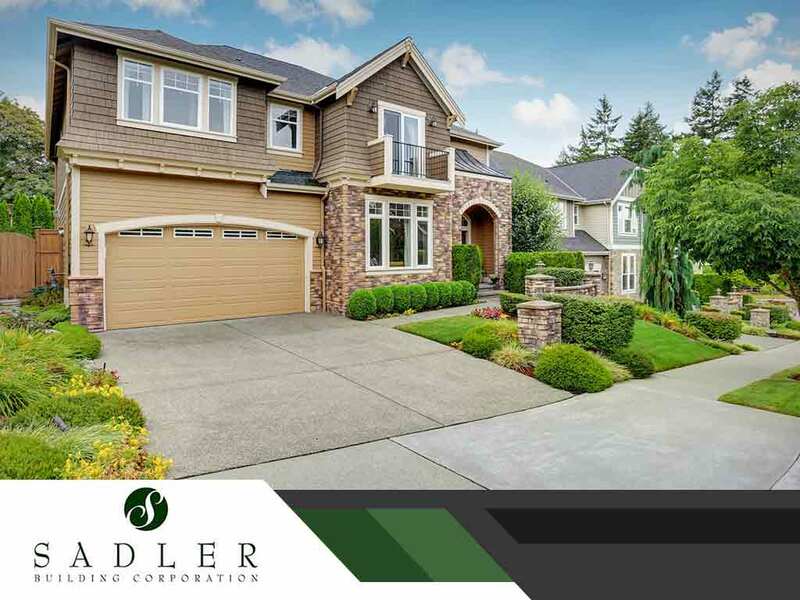 Sadler Building Corporation provides home building and remodeling solutions in Suffolk, VA and other areas in Virginia. You can call us at (757) 273-6798 or fill out this online form to request a free quote.